Painted wood chest with three drawers. 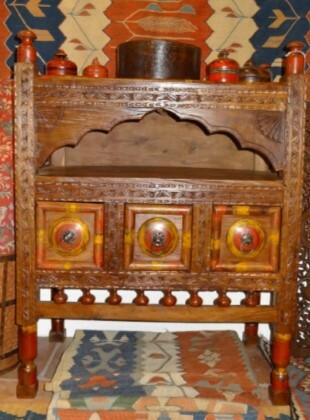 Old chest from the Punjab with three small drawers.Its dimensions are height width . The chest dates from the mid 20th century. Oriental carpets, textiles, carved wood furniture and unusual lamp bases.